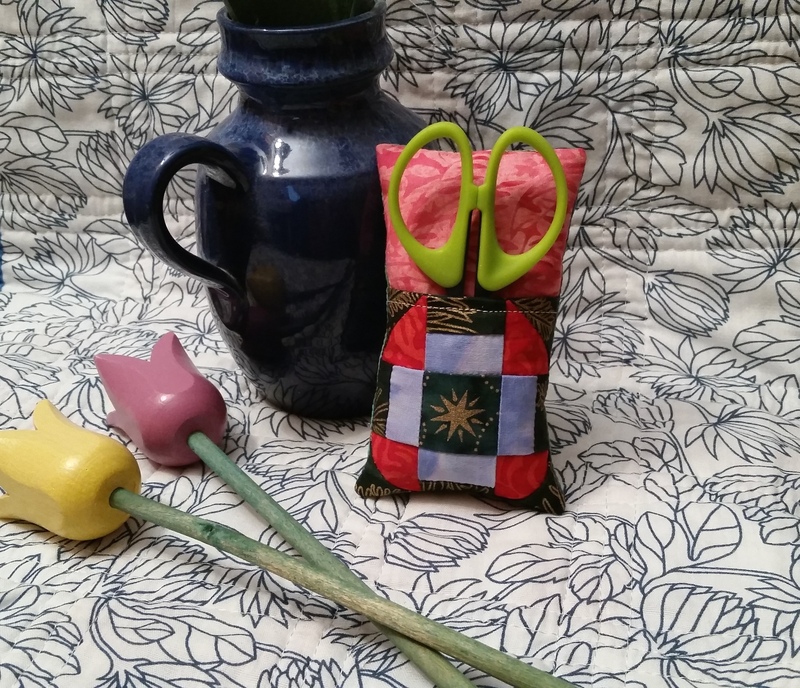 Due to a much needed house maintenance I have been without access to my sewing machine for a couple of weeks. I have been itching to CREATE! 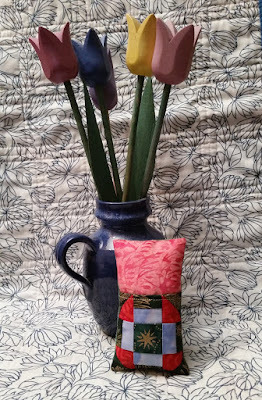 Finally, yesterday I was able to make this cute, little pincushion from a tutorial by PolkaDotChair. My embroidery scissors fits perfectly in the pocket. 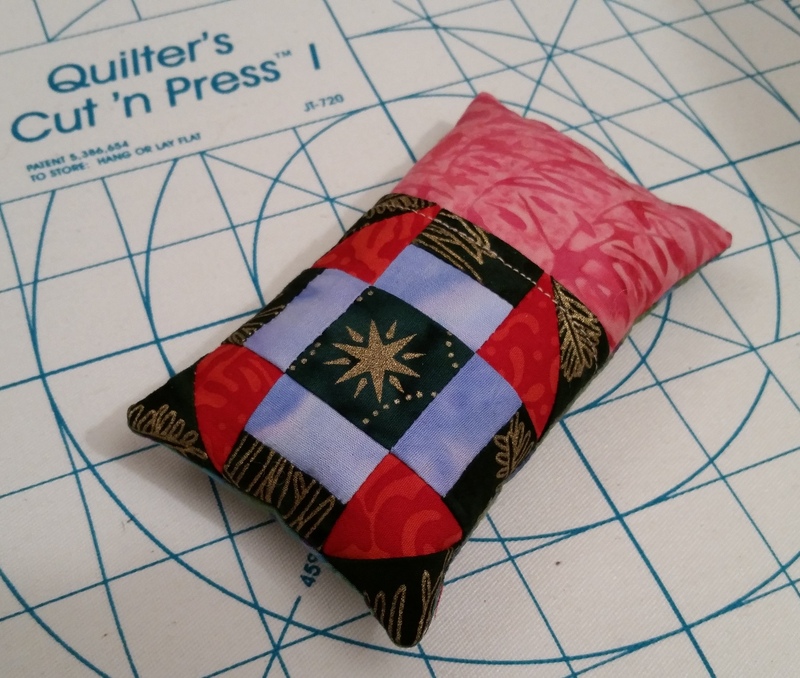 The pincushion is is made from scraps of Island Batik stash builder rolls. 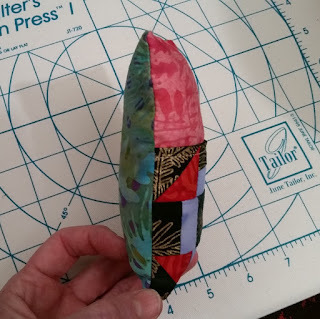 The color scheme is perfect for the season, and the fussy cut center of the churn dash block is the icing on the cake. I used a green leafy batik for the back of the pincushion. Så fin den ble. Har helt fått dilla på disse, men har laget et eget mønster. Fint å bruke opp rester i disse små blokkene på lomma.